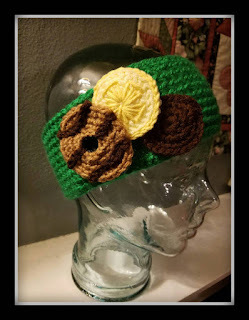 I was talking with my awesome-sauce friend, April, about this too cute to boot headband and after we spoke back and forth about placement of the cookies and the proper color green... she turned the cookies into clips!!! I can position them however I want and put them on a scarf or my shirt or in my hair or whatever... HOW amazing is that?!?!? I told her I thought I probably had a few other people that would "need" one, so I decided to do a post here and a few other places I frqeuent. Check out her Etsy shop and you can order your very own... because just like the real cookies... you need to get your own. You can't have mine! I haven't done a "feelings" post for a while, so hold on to your hat, grab some coffee, and try to take it all in. The past few weeks... months... there has been a lot of disagreement on what is best for the world in which we live. We all form opinions and hold fast to what we believe. That's a great quality, but you gotta keep it in check so it doesn't divide what you are trying to unite. I don't know about you, but I could use more people to call friends. I don't think we have a limit on that. I remember a time when the girl was about 4 or 5 and we went to the play place at a local business. She didn't go with a friend. She was on her own. I didn't really have the desire to crawl up into a giant twisty turny entrapment, so she had to figure it out. I have to say, I was always a little apprehensive about her being by herself, but not after this one particular day. We had been there for 5 minutes or so and she noticed another little girl playing alone. She asked if it would be okay to go talk to her. 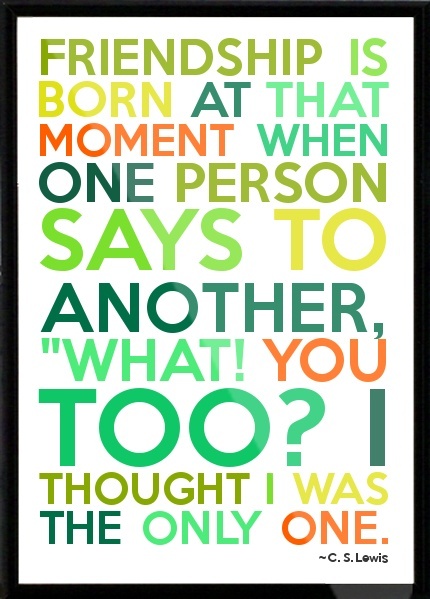 Of course, I said. She walked over and said "Hi! My name is ___. Do you want to be my friend? My favorite color is pink." I was so glad it went well and the other child replied "Yes. I'll be your friend. My favorite color is pink, too!" And off they went. They played for hours. Her mom and I talked about how easy it was for the two of them to be friends and find something in common. Sharing a favorite color was enough. Fast forward 10 years and something has happened along the way. It's much more difficult for that 14 year old to start a new friendship, than it was when she was 4. I'm not saying that is a bad thing. You do need to be careful who you are friends with. No one wants to have to answer questions from the police about their whereabouts and relationship with a certain person... but, those cases are very far and few in between... so we can't really use that as an excuse too often. As adults, we make it even more difficult. But, I ask you this. Does it need to be? Are we so set in our ways and so quick to judge and critique that we are refusing to be friends with people that don't share each of our values? Are we really willing to have less people we consider friends just because we don't see eye to eye on everything? Are we so rigid that we can't carry on a conversation with someone that has different views on the world? I'm preaching to myself here... I'm so guilty.When people ask me if I have a lot of friends, I say "No, Not really. 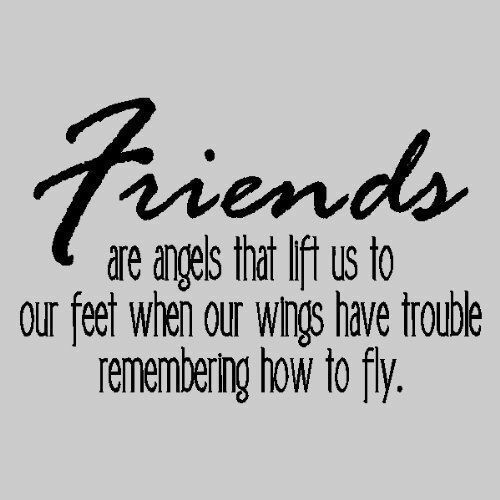 I have a lot of acquaintances and people I work with, but I don't have many I consider true friends." I limit the number of connections I have on Facebook, because I don't really want everyone under the sun seeing into my life. I keep most people at a distance where it's comfortable for me and rarely share a lot about my personal life. We'll say I have trust issues. Something happened, though, a month or so ago. I was out to dinner with a couple friends and we were talking about life. My friend was sharing some things she was going through and the whole time I sat there thinking "wow... I'm not alone". I just smiled and when she had finished I said "I'm just really glad to know that I'm not the only one dealing with this type of issue!" And it hit me... THAT is what it's about. Friends are there with the purpose to help you through life. We share laughs. We share tears. We share frustrations. We share life. We let one another know we are not alone. Someone is in our corner and can relate or at least empathize with what we're going through. Hi. My name is Lora. I like crafts. I like baking. I love my family. Can we be friends? Note: This is going to be lengthy... and full of information... take it one step at a time. 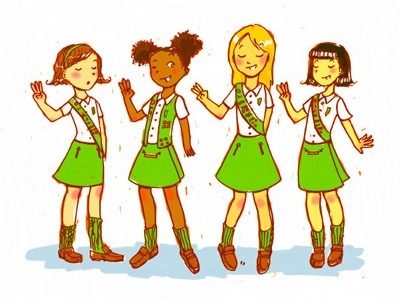 Girl Scouts is supposed to be girl-led. Even though I will agree that females do all qualify to be "girls", we need to turn at least portions of the meetings over to the under 18 years of age girls at every level. This isn't an automatic thing, as we all know our sweet little Daisy's would blow their cookie profit on ice cream and Pokemon. But, no matter what the age, the girls need input and responsibilities... it is, afterall, THEIR troop... not ours. This is sort of how I see the breakdown/transition working. Obviously, get a group of leaders together and you'll have 10 varying thoughts. This isn't written in stone and you need to know your girls. But, start somewhere if you haven't. This is really the flow of changes that happened for our troop over the years, too. It works. Now, as 8th grade Cadettes, they send us supply lists and meeting outlines in advance for the badges they are leading. 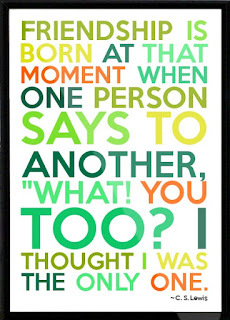 Some are better than others in doing so without reminders, but you'll also find that difference in adults. Opening the meeting by saying the Promise and Law (if you do that). You know your meetings... what can you turn over to the girls? Not their parent, though they will be involved. What can the GIRL be responsible for? They've been in Scouts for 2 years, most likely, but even first year scouts can get in a routine. The trick is making sure they know they are responsible for it or it doesn't happen. Digital Secretary. I had a point n shoot camera and we rotated who got to use it at meetings to take photos. Some of the best photos ever, because they are from their perspective of what is important, not yours (or mine). Song Bird: Each girl had a troop song book (See Twilight Camp songbook post) and they were responsible for choosing the songs to be sang at the beginning and end of our meeting. If they didn't do it, it didn't happen. They really liked to sing, so a couple times of seeing I wasn't going to fill in and they started remembering. Good Turn Leader: Each meeting at the end, we stood in our Friendship Circle and stated on Good Turn they would do before we met again. The Leader started us off and recorded what each person said. At the next meeting, during opening, they would ask if it was done. It taught accountability. Activity Leader: By this point, the girls can read. Have them read over the badge activity before you begin it, so they know the purpose behind whatever you are doing. Trip Planning: Yep... let them have say in the menu, location, activities, movie (if there is one), how to fairly divide the group between vehicles (if necessary), etc. The sooner you get them planning their trips, the more invested they will be to make sure things get done. Especially overnights for journeys or camping or whatever. They have ownership of it, so they are more likely not to do the "I don't want to" speal. Juniors is a tough age... They aren't little girls, yet they aren't big girls. They think they are big girls, but they act like little ones most of the time. I know that's a general statement and it isn't meant to sound harsh... it's just a tough age. In order to get Juniors more involved in Leading, you are going to have to plan ahead. 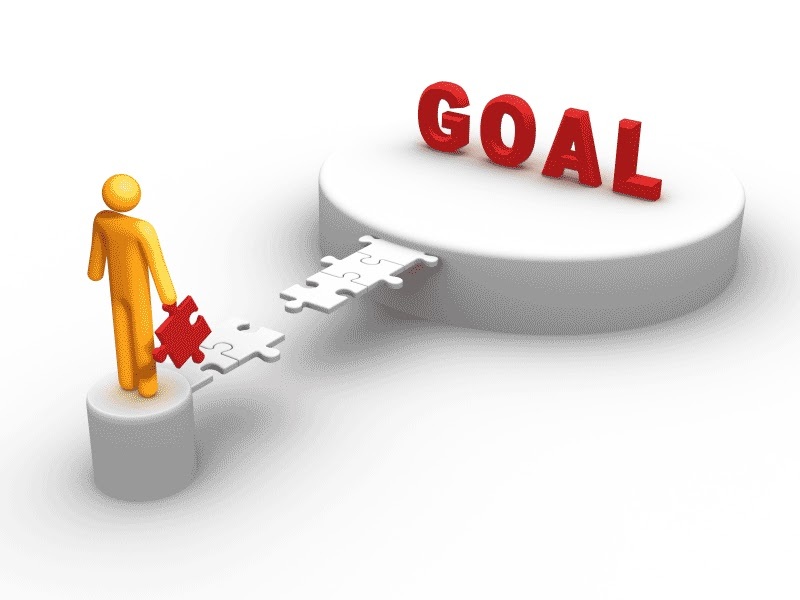 No more late night one day prior to the meeting to plan what you are doing. Remember... a Girl Scout is always prepared. Plan the year of badges with them. Use the house method, if you want. Once you have your badges for the year planned, ask who wants to be responsible for a couple badge activities? Each girl should take 1 or 2 badge activities they are going to be responsible for. They need a copy of the badge booklet, if they don't own their own. Give them a deadline for the plan and supplies. I will say, have a back up plan. Just in case they aren't there or forget, the rest of the troop doesn't suffer because of it. Troop Money Management: I actually started this as Brownies, too (I didn't have them as Daisy's). I gave them the balance of the troop account, how much we spent on supplies for that meeting, how much we were setting aside for badges. Get them involved and knowledgeable about how much things cost. It's this much for a badge. It's this much for a patch and let them decide whether it's worth it. Talk money with them as an ongoing thing... financial responsibility will benefit them throughout their entire life. Start early. Cadettes is where I brought in back up (an enforcer... ha!) and really got on track to having the girls lead their meetings. They were used to me doing pretty much everything for them. So, for me, it helped to turn them over to a new co-leader who had had an older girl troop before. 6th grade, I still did a lot of the planning. They chose their badges, took care of typical meeting "stuff" (opening, business, closing, ceremony planning, trip planning, etc.). This was also the year we brought 4 troops into one and that had it's own set of obstacles. Then, we began mentoring a Daisy troop. So, in essence, my Cadettes planned the meetings for the Daisy's. I showed them the badge booklets for the petals and had them make decisions on what activities to do, what supplies would be needed, etc. This really gave them the first glance at planning out an entire meeting for a younger level. I feel this helped them tremendously for their 7th grade year. 7th grade... we did the house method of planning at our first meeting. We divided up the badges and started holding them responsible for planning it out. We still helped them and still planned part of it for them. We led them down the path and offered advice, so to speak. But, for the most part, they were responsible. Now, we also had a couple badges in our back pockets (the boring, let's sit and talk badges) just in case someone didn't follow through. We also brought extra supplies and tried to see where their pitfalls may be to cover for them in case they needed help. But, the girls really did soar on their own. By our 8th grade year, the girls sat and planned their year of badges, dividing them up between them. They are then also responsible to email a plan, supplies list, and lead the entire meeting. They lead opening to closing. If there is something like Cookies happening, I tell them in advance (like when we hand them the copy of the badge to review and plan) "I need 20 minutes of your meeting to cover _____" I also tell them about any meetings I need part of at the beginning of the year. I know December I need time for cookies, February I want time for Thinking Day and Global Action, and I like to plan 2 "parties" a year for them in December and May. Planning meeting... the first meeting in August or September after school starts is just that... only planning. Badge work isn't really accomplished. We look over badges, we talk about the summer patch programs they were to work on, we talk about the service projects and overall mission of the year. 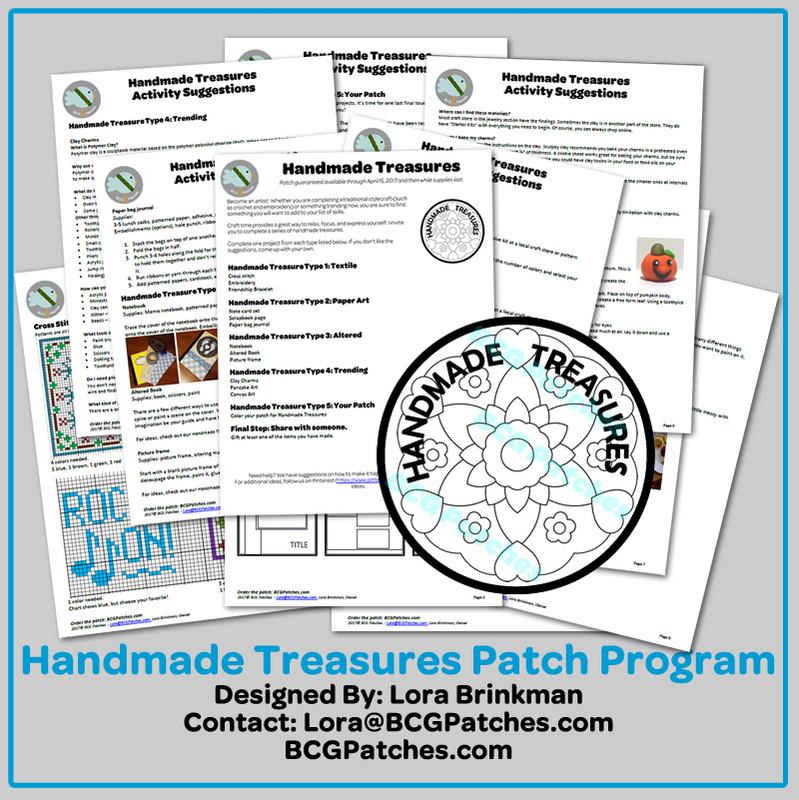 I have been excited about this patch program from the moment I thought it up!! I'm so happy the month has finally arrived to release it! For the January 2017 patch, I decided to do something a little different. The patch is a plain ol' white patch with black outlining, because.... part of earning it is to color it yourself. Yes! You read that right. I worked with my manufacturer and tested different techniques to color the thread. I'm able to supply you with a patch guaranteed different for each person completing it... unless you copy off someone, then shame shame shame. 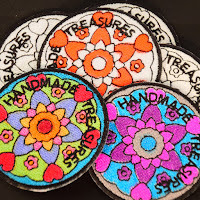 It will for sure be a treasure... a handmade treasure. 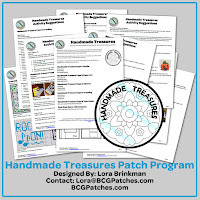 With this patch program YOU will become an artist! 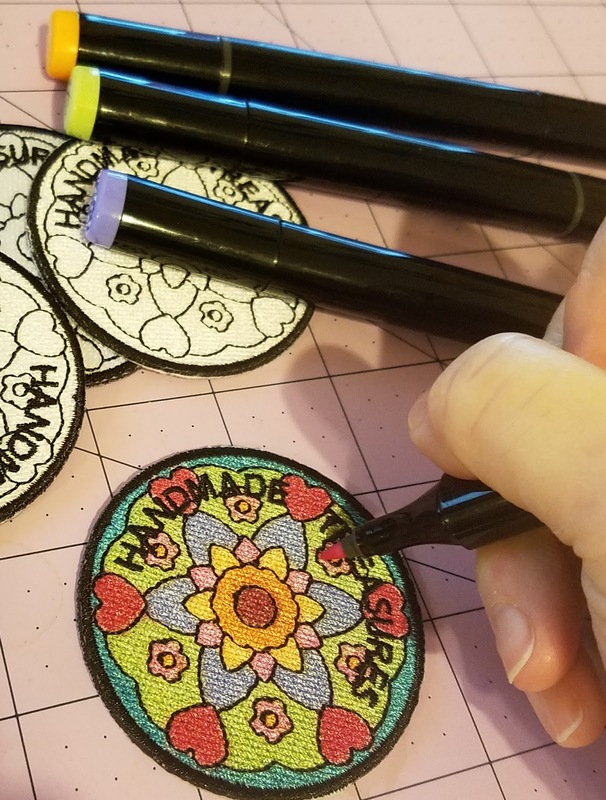 Whether you are completing a traditional style craft (such as crochet and embroidery) or something trending now, you are sure to find something you will want to add to your list of skills. Craft time provides a great way to relax, focus, and express yourself. I invite you to make many handmade treasures. Complete one project from 5 different categories to earn the patch and complete one final step. Make it as simple or complex as you need for your age group. The guide is 12 pages of crafty examples and fun! There are even exclusive embroidery and cross stitch designs included in the guide!! All orders guaranteed to be filled through April 15, 2017. Patches are available NOW! There are moments as a Girl Scout Leader when you wonder if you are making a difference at all. If you haven't been in that moment, believe me... it's coming. Prior to this meeting with my 8th grade Cadettes, I had been having many of those moments. What does that have to do with the Science of Happiness? Keep reading. The girls lead their own meetings now. To the point that my co-leader and I just go into the room and sit and wait for them to start it. 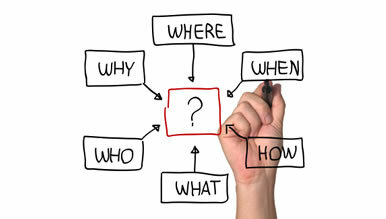 Sometimes a question of "Should we open the meeting?" is raised and if so, we reply "Well, it's your meeting and you know what needs to be done." Ornery, right? Hey, this isn't their first year in Scouts. So, they get chairs, arrange the tables, and stand in a circle to say the Promise and Law. I would interject here that no one has told them they have to carry on that tradition, but they do it. Partly because I'm sure they think it's expected and partly because they like the tradition. Anyway, on to the badge... Science of Happiness. The girls made a list of blessings.... they ranged from serious to completely ridiculous. As I sat their listening to one of the girls speak of her silliness as a blessing, I was reminded that adults take life way too seriously at times. She also counted having silly friends a blessing. The Cadette leading the badge asked the girls to list their strengths to remind themselves how strong they really are. Again, I sat there thinking how easy it is to dwell on shortcomings and forget what we have going for us... even if it's as small as liking the freckle on your nose that is just like your Mom's as a reminder that someone in the world is cheering you own. The girls made 2 cards each. I will admit at this point, I wasn't really paying attention and there was a lot of writing and sharing notes and whispering... I let it go, because girls need secrets... and I'm so glad I did... when finished, they each presented my co-leader and I with a handwritten thank you note that I'll treasure forever. I think this proved to be the most difficult for them. I tried to explain how a survey should have a measurable result. Filling in the blank is good in some cases, but will make it difficult to truly see the results of a group if you don't have some sort of baseline. It gave us a great discussion on how to form questions in different ways to make sure you can have results from a survey. Last, but not least, the girls came up with their own tips for staying happy. They doodled and colored and made it all adorable, then discussed their lists and shared where they were planning on keeping it. One of the girls said she was going to snap a photo and store it on her phone, so she has it with her where ever she goes. That's a great idea, because we all know there are times you are out in the world and need a moment to regain your happiness.